You have decided to add some adventure spice in your summer vacation in Croatia. Most probably if you are looking for adventure you will have skydiving on your bucket list. If you want to try skydiving, nice location is very important to make the feeling complete. ADV dropzone in Zadar is perfect location for your first skydiving experience in Croatia because you will be skydiving above the sea. You will have the most beautiful first row view on best of Adriatic sea. 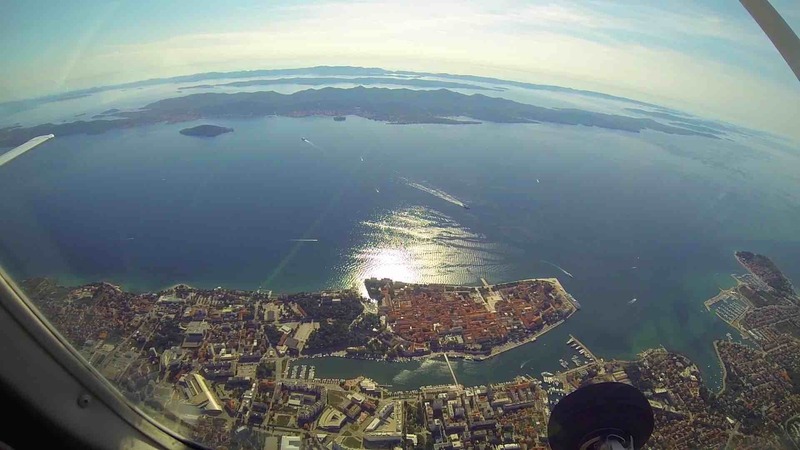 During our climb you will have opportunity to enjoy the view on old town Zadar and also very popular and scenic islands of National park Kornati that will take your breath away. When we will be close to exit altitude you will also have best view on Velebit mountain of Dinaric Alps. 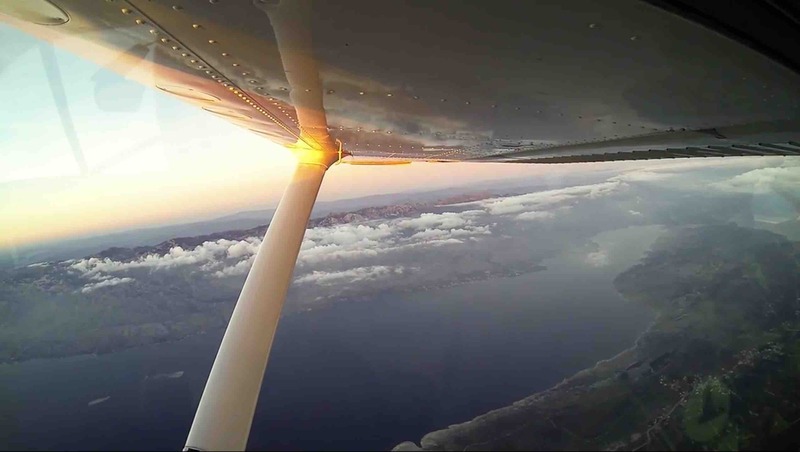 This is definitly one very special adventure, in the same time you will have 25 minutes of panoramic flight over the most interesting locations of Adriatic’s and then you will be skydiving above the sea surrounded with National parks Kornati and Paklenica. There is no better place to do fulfil your dream than this. Check off your bucket list item with us. After your first skydive you can relax on beautiful beach which is 50 meters away from the drop zone. We are waiting for you in the town with most beautiful sunsets in the world. Sunset skydiving is our special offer!